This 1.8 x 1.4 degree field of view is located in the constellation Monoceros, just to the left of Betelgeuse in Orion and not too far from the Rosette Nebula. 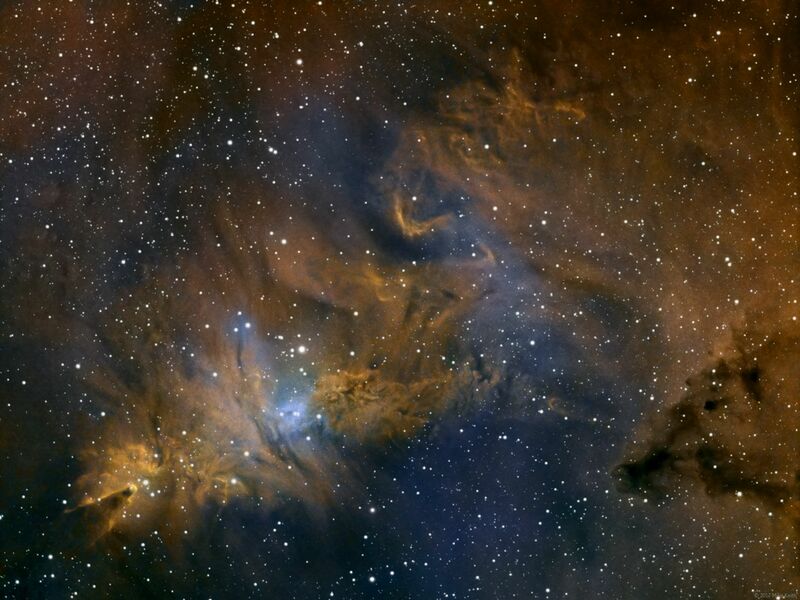 Both the orange emission nebula (so colored because this is a narrowband image), the blue reflection nebula to the lower left of center, and the large star cluster in the lower left all fall under the designation NGC 2264. 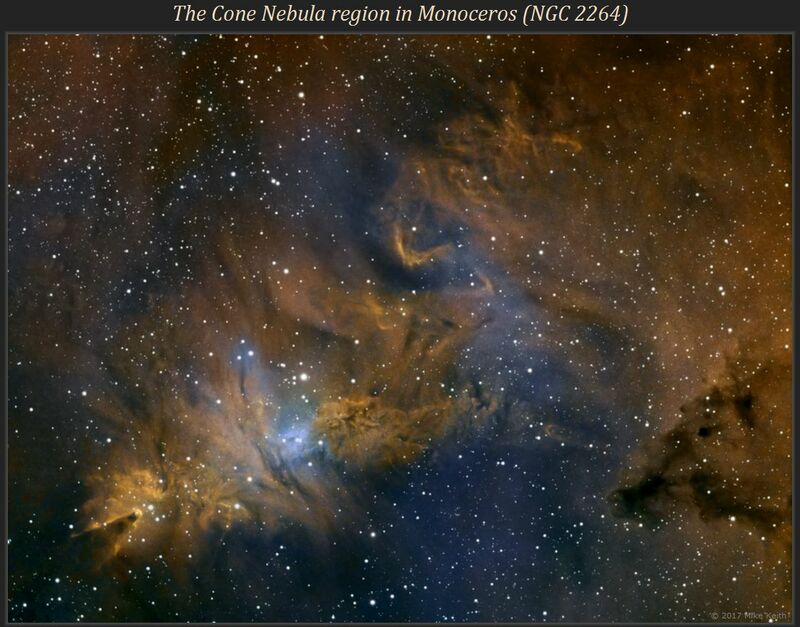 The bright cone-shaped structure in the lower left is known as the Cone Nebula, while just below center is the complex patch of nebulosity called the Fox Fur Nebula. Between the Cone and the Fox Fur stretches the open cluster known as the Christmas Tree Cluster (which looks more like a Christmas tree if the image is rotated so that the cone is at the top of the 'tree'). The large dark structure at the lower right is LDN (Lynds Dark Nebula) 1610.